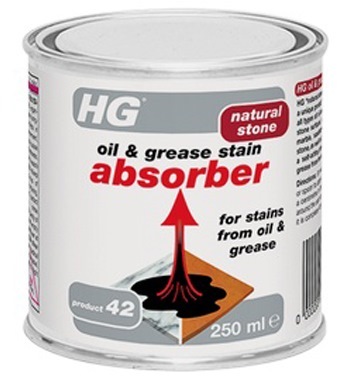 HG OIL & GREASE STAIN ABSORBER HG470 250ML is rated 4.0 out of 5 by 1. 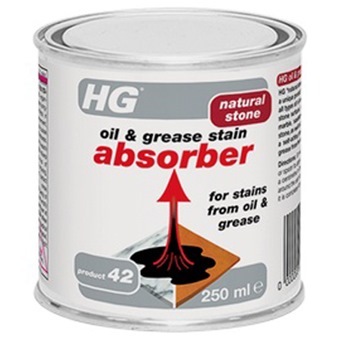 HG natural stone oil & grease stain absorber (HG product 42) is a unique product for the easy removal of virtually all types of oil and grease stains from all porous stone surfaces, such as flagstones, terracotta, marble, sandstone and other types of natural stone, as well as cement and concrete floors. 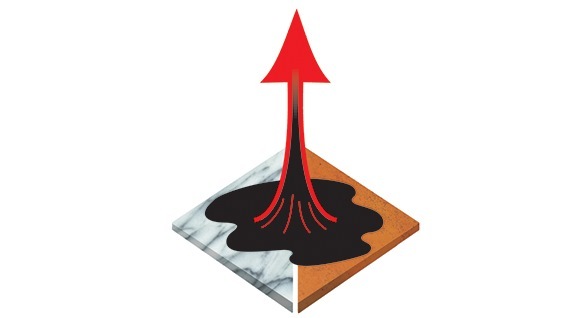 It is a self-acting product which absorbs the oil or grease from the stone. Rated 4 out of 5 by star from Effective to some extent Bought this and tried on an unknown yellowish stain on my white marble. It did lighten the stain but I wasn't sure whether that was oil and grease or some other substance. Would have bought the appropriate product if we could figure the substance but this was only thing that we could find that was effective to some extent.